The results of our free land for hypergrid newbies survey are in, with over 60 responses. Here are the top seven grids mentioned by our readers. This grid was mentioned by 17 different readers, even though it has one of the most restrictive offers — only 30 days, only for new residents. This is really designed to help people get to know DigiWorldz, not as a semi-permanent place for people to live. Hypergrid teleport to login.digiworldz.com:8002:DigiHomes or login.digiworldz.com:8002:Chalcedony or login.digiworldz.com:8002:First Homes. Or contact Noxluna Nightfire or TR Lifter or any other DigiWorldz staffers in-world. This grid was mentioned by ten different people. One specific destination mentioned was login.greatcanadiangrid.ca:8002:Great Slave Lake. Other readers suggested joining the grid or teleporting in to login.greatcanadiangrid.ca:8002 and asking the volunteers in the welcome center. 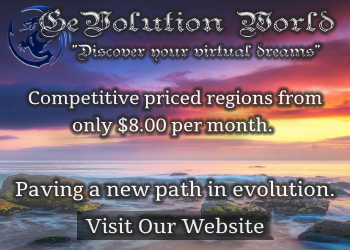 OSgrid is the oldest grid and largest grid by land area, and has several grid-owned plazas. Newcomers were recommended to check in with grid administrators and with Travis Longhorn. Readers suggested getting free land plots on hg.osgrid.org:80:zaius plaza, hg.osgrid.org:80:seaprior plaza, hg.osgrid.org:80:teravus plaza, and also on hg.osgrid.org:80:TexLand, hg.osgrid.org:80:Bolivar 1, and hg.osgrid.org:80:Bolivar 2. ZanGrid was mentioned five times, with newcomers recommended to contact Suz Blessed or Rique Giano in-world. 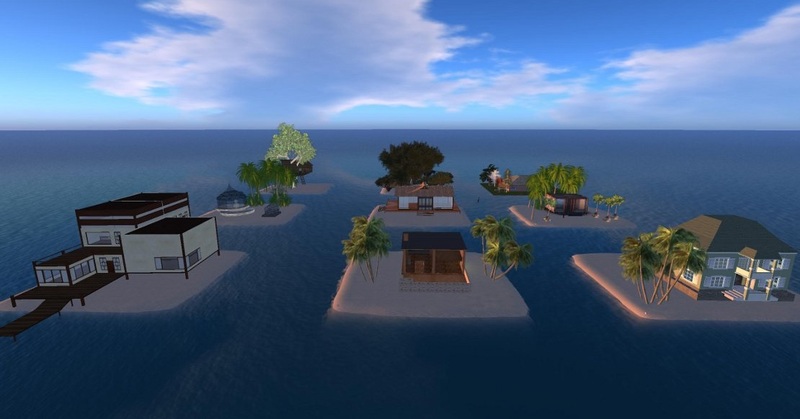 The free land comes as 4,096-meter-square parcels that can hold up to 1,000 prims, both with and without houses, surrounded by water for privacy. Destinations mentioned include hg.zangrid.ch:8002:Zandamars, hg.zangrid.ch:8002:Zandamore, and hg.zangrid.ch:8002:Zandavida. TangleGrid was also mentioned by five people. The plots are free to all users, including hypergrid visitors, and are renewable. Simply click on a sign to claim a free plot, then click on the sign again at least once every 30 days to keep the land. Hypergrid teleport to tanglegrid.net:8002:Shores Haven or tanglegrid.net:8002:Shores Oasis. WestWorld is TangleGrid’s open sister grid, which allows anyone to connect a home-based region for free. But if you don’t want the hassles of running OpenSim on a home computer, you can also claim a free plot by clicking on a sign and renewing once a month. Hypergrid teleport to westworldgrid.com:8100:WestWorld Estates. Genesis Project is the newest grid in OpenSim, currently doing a “soft open,” but already offering free plots with 937 prims. See this page for more information or contact Gregg Genesis or any admin in-world. The land is available to all, including hypergrid visitors, and is renewed by simply visiting the grid at least once every two weeks. The plots can even be used for commercial activity. Lots of other destinations were mentioned at least once, including A Life Virtual, Avacon, Craft, Island Oasis by teleporting to islandoasisgrid.biz:8002:Islands Home, jOpenSim at grid.jopensim.com:8002:Canary Islands, Logicamp at logicamp.org:8002:user2, Lost Paradise, SimValley, Twilight Grid, Virtual Brazil 3D by contacting Rone BV in-world and visiting at least once every five days, and Virtual Life Brasil. Do you have other places to suggest? Please let us know in the comments!